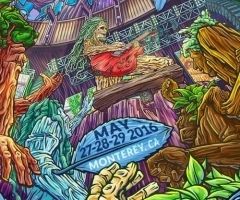 California Roots Presents have announced the phase one line-up for the seventh annual California Roots taking place May 27-29th, 2016 at the Monterey County Fairgrounds in beautiful Monterey, California. 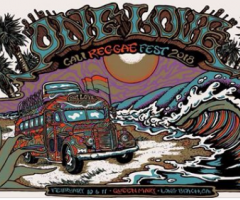 Headlining the Cali Roots first round of announcements is the return of 2011 and 2014 headliner Rebelution. 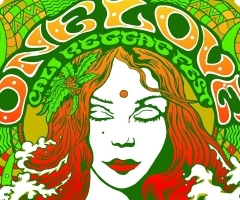 In the past years, California Roots has proved that it is more than just a music festival. 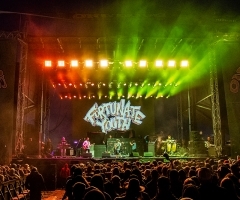 It is a much-loved and much-celebrated weekend of music, art and community connecting fans and musicians from around the country and even the world. The ever-expanding festival will offer multiple stages, tons of food and drink vendors and even offer games and entertainment for the little ones in your party. The grounds are also home to one of the most impressive amphitheaters in California and most famous for the Monterey International Pop Music Festival of 1967 where Jimi Hendrix ended his Monterey performance with an unpredictable version of "Wild Thing", which he capped by kneeling over his guitar, pouring lighter fluid over it, setting it on fire, and then smashing it in to the stage seven times before throwing its remains into the audience. California Roots is offering a very limited number of Early Bird tickets that will go on sale Wednesday, October 14, 2015. Early Bird tickets are $160 for a three day General Admission Weekend Pass and $380 for the VIP treatment.